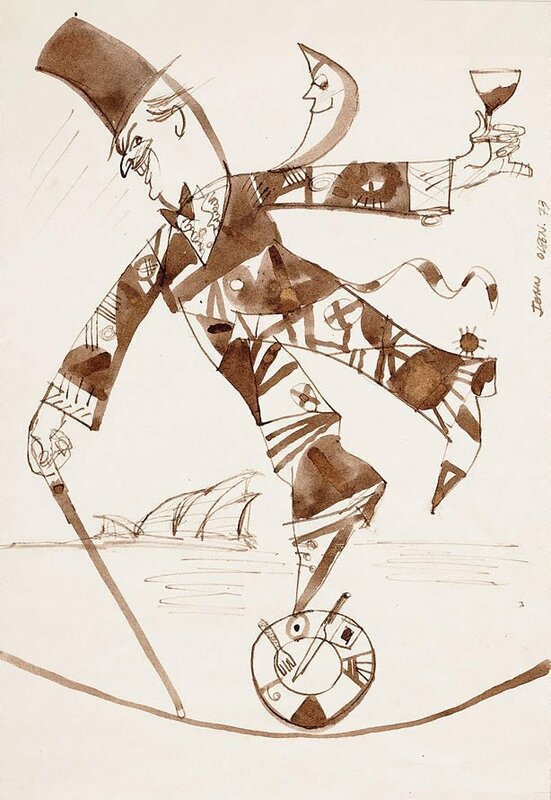 This drawing is a playful work that was intended for reproduction on a 'Wine and Food Society' menu in 1973, an organisation associated with Gallery owner Rudy Komon. Signed and dated u.r., pen and brown ink "JOHN OLSEN. 73".